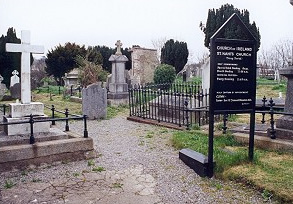 The churchyard is very well cared for by our parishioners and provides an oasis of quietness in the middle this busy Dublin suburb. Plots are available in the Garden of remembrance. Please contact Mr William Dixon, through the Parish Office (01-2985491) info@taneyparish.ie for further information. Occasionally, following a death, the friends and families of the deceased wished to commemorate the life of a loved one. Details of such services may be discussed with the Rector.